Unlike Little Hart Spring, The Black Lagoon is a guided site and requires you to select an Active Dive Guide in advance of the dive. 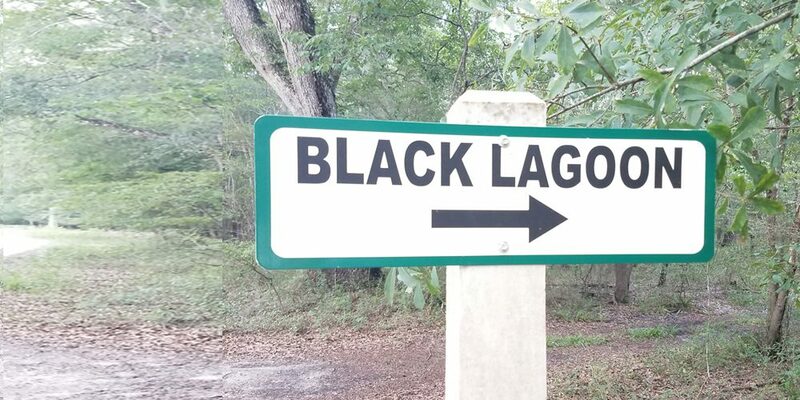 The Black Lagoon is a sinkhole located on the Eastern portion of the property. It is located a fair distance upstream of the Little Hart Spring vent and provides access to portions of the cave that would be far more difficult to reach otherwise. The Dive Access Qualifications page lists the requirements you must possess to dive the Hart Springs cave system. You can access that information by clicking here. A list of our Active Status Dive Guide is located here. Out of the two locations, you can dive at Hart Springs, The Black Lagoon is the one location that DOES require a dive guide. As long as you possess the necessary prerequisites you are welcome to visit the park and dive the cave when accompanied by an Active Status Dive Guide.